Your review: We love this cart. 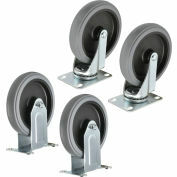 We have 3 of them and use them daily. 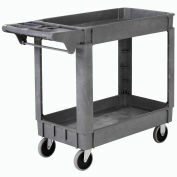 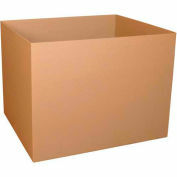 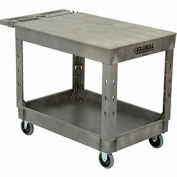 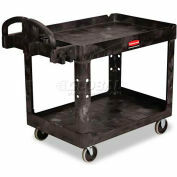 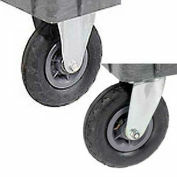 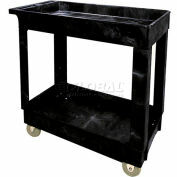 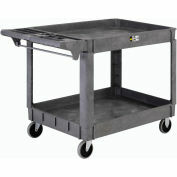 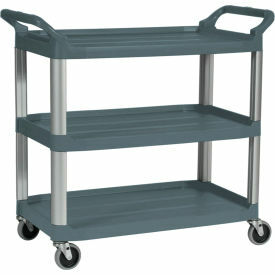 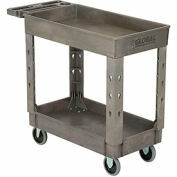 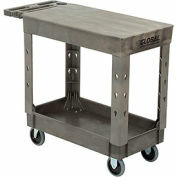 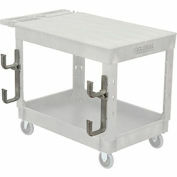 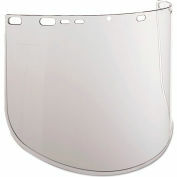 It's lightweight, easy to maneuver, good size shelves to haul things and very sturdy - holds a volume of heavy items. 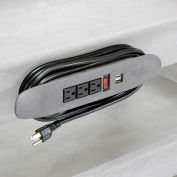 Excellent purchase. 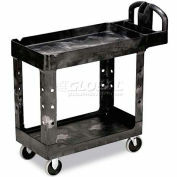 Pros: lightweight, easy to maneuver, good size shelves to haul things and very sturdy - holds a volume of heavy items. 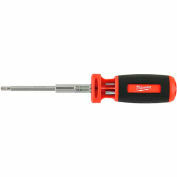 Excellent purchase. 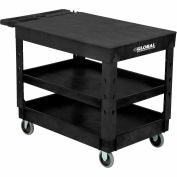 Cons: It's a bit expensive but worth it!